I've been reading this on and off for some time. I read most of it back in April, while I was being tattooed (leading one of the other tattooists to say he had never seen anyone so laid back as me). I have the final few chapters to finish, and I'll do that as soon as I figure out where my husband has "dobbied" the book. It is my dirty little scientific secret, that I have never actually read Origin. I have started reading it many times, but to be honest it's not an enthralling read to begin with, and it's quite heavy going. Without the distractions of trying to read it on a commute, however, and being able to curl up on my sofa or in a sun lounger in the garden, it's far more manageable. Having already devoured the newly-discovered "Plan For Chaos", I'm on another Wyndham roll. I very much enjoyed "Plan For Chaos", although the unusual decision of Wyndham to have an American lead grated a little. 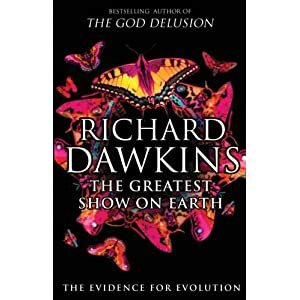 Always looking for more easily explained and more obvious examples of evolution for my students, a fellow lecturer at college recommended this to me. It's nice to have a colleague who is as rabidly pro-evolution as I am, as there are surprisingly few of us on the staff, even in science (worryingly). Being something of a pteridophile, I love the idea of having lots and lots of ferns around. One day, when I win the lottery, I will have a cool fernery, a warm fernery and plenty of stumperies around my extensive grounds. Until then, I have a courtyard, a window seat and some aspirations. I studied "History and Philosophy of Science" for a year at Cambridge, and they were some of the most interesting and entertaining classes I ever took (e.g. "Ever notice how the greatest people were always known just by their first names? Galileo, Leonardo, Tycho, Madonna..."). I'd like a refresher, partly for my own interest, and partly to be able to answer more of my students' questions and help them understand the historical significance of theories and discoveries. As I'll be teaching a class on "Perceptions of science" this coming term, it'll help broaden my expertise. It's a big book, but all it'll take will be a few rainy days. I am constantly astounded at British and American right-wingers who complain about immigrants and what a "true" Briton or "true" American is. I eagerly await the day that BNP leader Nick Griffin, wonky-eyed hatemonger-general, is found to be 1/64 Pakistani, so that I can watch him try to vomit up all his internal organs. You can take the girl out of academia, but you can't take the academia out of the girl (that phrase sounds better when it's talking about honky-tonks). So this will keep the old brain cells ticking over a bit, and get my l33t plant taxonomy skillz up to the same high standard as my animal knowledge. I am determined that my final-year students will leave with a new-found appreciation of the plant kingdom, and I hope to do that with more than just a Mimosa pudica (although they are cool). So that's what I plan to do with myself until the end of the holiday. We're not able to get away anywhere, but I am absolutely knackered. I'd be interested to see what you lot are reading (those of you not lucky enough to be in the field anyway). 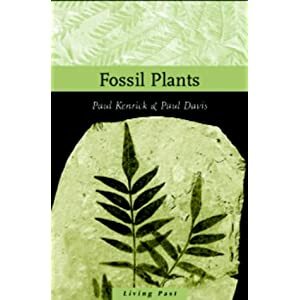 Please let people know how good Fossil Plants is. I read Trilobite by Richart Fortey last year, it was one of the few geology books I've not struggled to complete. As for John Wyndham, I think the Kraken awakes was possible his best book. I read by a book from Blackwell Publishing's European People's series (can't recall the author: my copy is at home) entitled "The Britons." And honest to goodness, the first and last lines were "Who are the Britons?" and "We all are. We are all Britons." I'm reading "Was Einstein Right?" by Clifford M.Will and "Chaos" by James Gleick. GrumpyOldMan - I've read "Life: An Unauthorised Biography" and "Dry Storeroom No. 1", both by Fortey, and I think you would find them pretty good too. I would agree over "Kraken" too, although I have a soft spot for "Trouble With Lichen" for its unusual status as a Wyndham book with a main female character. Tom - that does rather negate the point of all the sentences in the middle! I'm hoping that a slightly more sophisticated viewpoint will be taken by Oppenheimer. Certainly it's looking a bit more from a genetic perspective, from what the back blurb says. Irish - the title of the "Was Einstein Right?" book reminds me of the awful "What Darwin Got Wrong" book. I hope it's completely different! Awesome. Reading is one of the things I am so happy to be able to do again. I know how you feel! Silent Springs is a good read. I hope you enjoy it. I am currently reading The Second Jurassic Dinosaur Rush and enjoying it thus far.